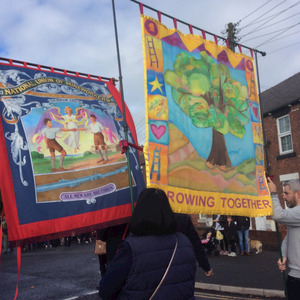 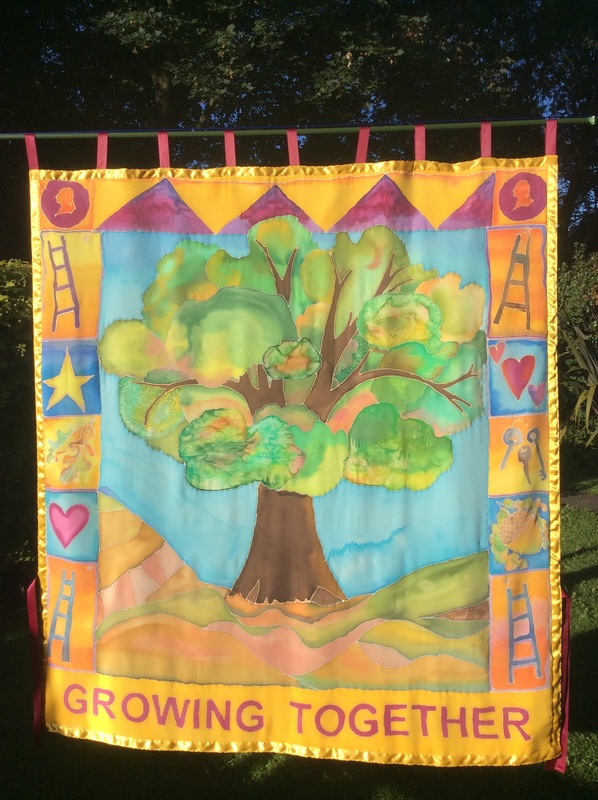 A commission to make a school Banner for George Washington Primary school for the Washington parade and festival also for permanent display in George Washington school. 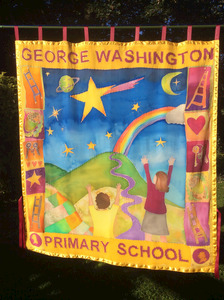 The Banner was made in consultation with students and staff at George Washington School . Designed constructed and painted by Marcia Ley.